Last year, 10-year-old Junebug desperately wanted to leave the grimy Auburn Street project where he lived with his mother and sister. Now his dream has come true. They have moved to the other side of New Haven into a safe, new apartment complex. His mother takes care of the elderly residents there. Moving means changes, however. And not all of them are good. There is a bully in his new school who won't leave him alone. Junebug has to take grumpy old Reverend Ashford for a walk every morning. And he worries about the friendship growing between his mother and the Reverend's son. As Junebug adjusts to a new neighborhood, his struggles will help young readers understand the importance of honesty. 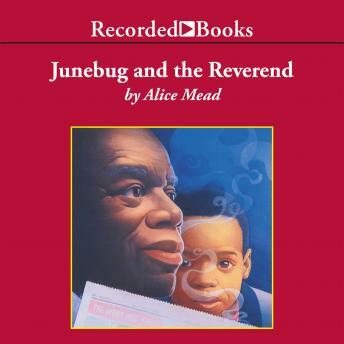 JD Jackson's narration is perfect for voicing the young boy and his widening world in this wonderful sequel to Junebug.